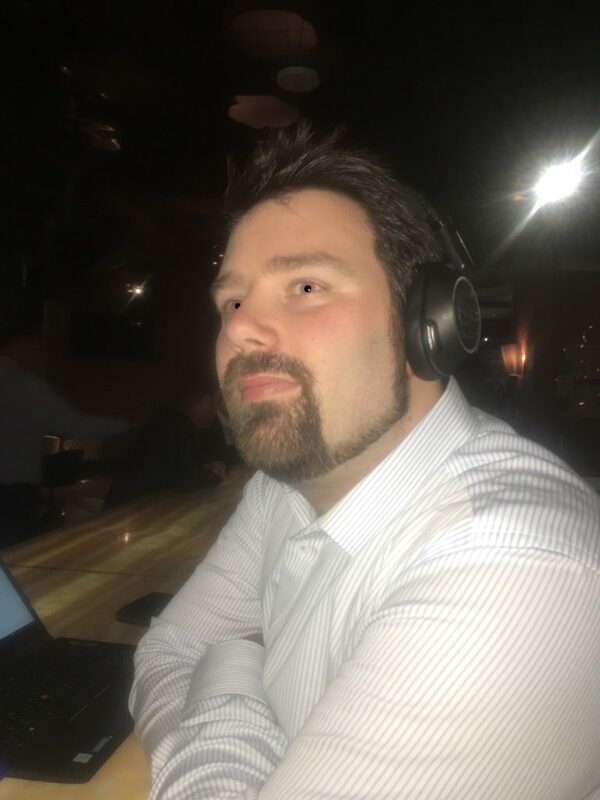 So I was lucky enough to play with a Plantronics 8200 UC during the Melbourne UC Meetup last night, thanks to Simon at Plantronics. The device is the logical evolution of the Plantronics Focus and the Back Beat Pro 2. I didn’t get to spend long with the device and it was in the middle of a noisy bar, but here are a few things that popped out quickly. Instead of using the traditional boom mic from the Focus/Legend to try and get the best speech pickup from the wearer. The 8200 has an array of microphones embedded in the ear cups that uses beam forming to pick up audio from just in front of the wearers face, The advantage here is background interference is almost non-existent. But unlike the focus you can’t wear them backwards. As a real world demo I paired the device with my phone in the middle of the bar and held a conversation via my mobile phone and the background noise was non-existent. The recipient of the call could only hear my voice. I haven’t looked into it too much, but it’s a great idea for planes or even my secret pleasure. Xbox gaming. Something I’ve personally been begging Plantronics for is a direct competitor to the Jabra Evolve 80, here they havent just gotten a competitor they have smashed it out. The Open Mic button from the Focus returns but is considerably more useful than it was on the Focus as these take more effort to remove from your head. 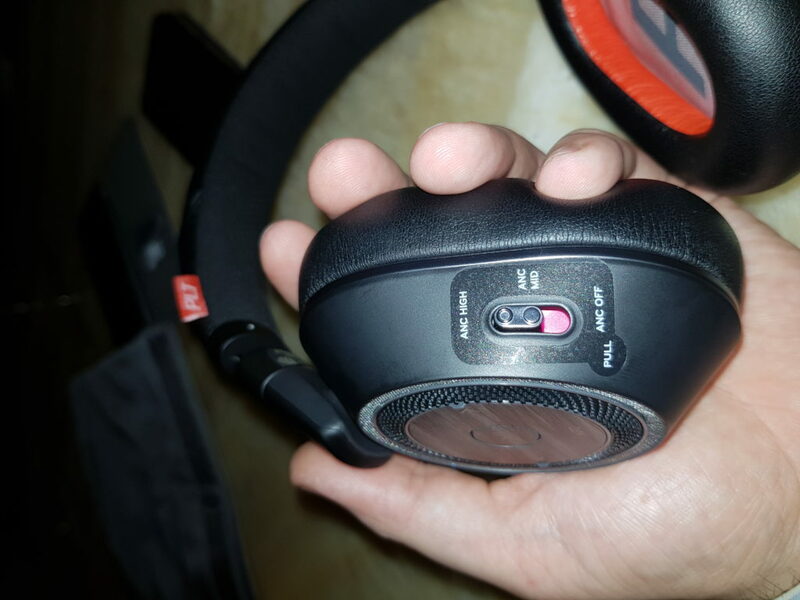 I wasn’t in an ideal situation for testing the sound quality but from the samples I heard of the device its very comparable to the Focus with the added bonus of having full cups to improve the lower end of things. The volume ring of the Focus returns, but isnt the outer ring of the cup, instead it’s a bumpy textured surface around the play/pause controls with nice sharp edges to engage your fingers. I imagine this wouldn’t take long to get used to. On the Right cup we have the Power/Pairing switch with the Mute/OpenMic button on the outer edge of the cup and the Answer/Hangup/Voice Assistant button being a nice large button in the centre of the cup. Like I said before, I didn’t get too long to play with these so I cant comment too much on the comfort for more than 30 seconds. The cups are soft and make a good seal with your head, with no undue pressure pushing in, the hoop however lacks the extra band seen on devices such as the Focus but being so heavily based on the Back Beat Pro 2 design, I don’t see an issue here. This is still a pricey headset in the $300+ AUD range , but what you’re getting for your money especially when compared with the Focus and Evolve 80 in the same price bracket the unit makes a lot of sense, I’m currently trying to get it past the Wife Approval Factor myself, so hopefully I can pick one up and do a proper review soon. I’d love to spend some more time with this device and when I do I’ll throw some more info up here. 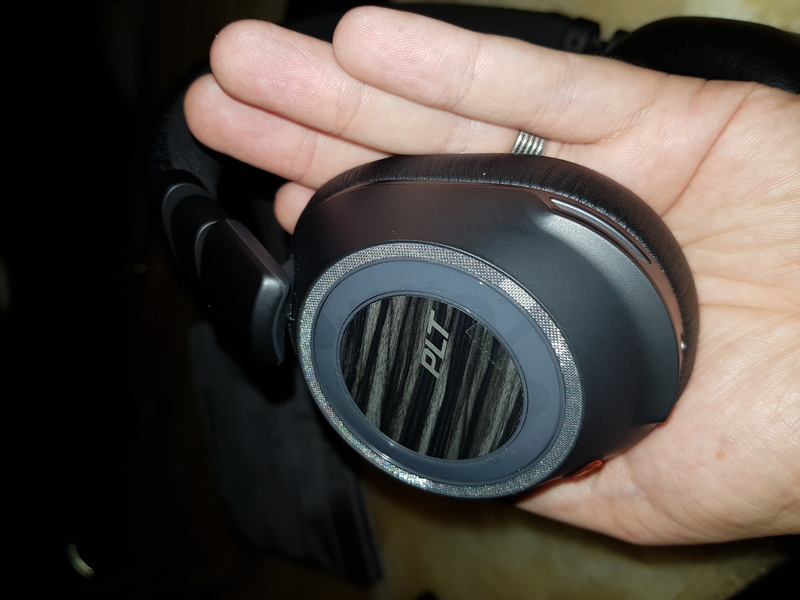 Plantronics have reached out and are loaning me a pre-release review unit for a few days. I’ll hopefully get a full review soon. I’d be interested in your thoughts below. The microphone audio sounds terrible! That’s the result of poor noise canceling and no boom, I don’t know who would accept that weak performance in the business world. Hi Nick. Thanks for the comment. For transparency you should publicly mention you’re from Jabra. I haven’t had a chance to perform my proper tests in a noisy environment yet. But I’ve got a sample that I managed to grab last night below. My initial thoughts are the DSP is adding a little lisp effect, there are some other niggles with the device I cover as well. I’ll have a full review up soon. Edit: Nick, I’ve reached out to multiple Jabra contacts with no response as yet. Can you shed any light on any upcoming competitors to the Voyager 8200? Sorry Derek I missed this comment. 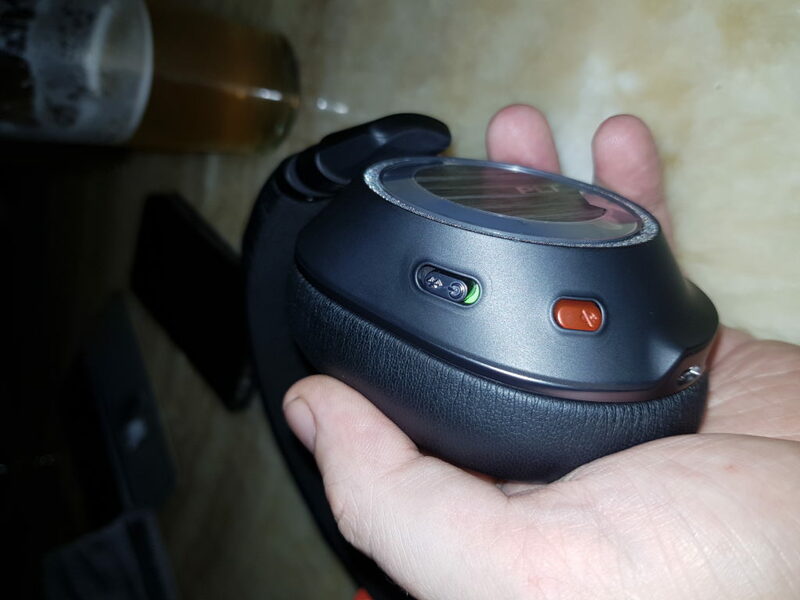 My local Jabra rep has shown me what I think could be a good competitor for the 8200.. its a different class of device but I still think it will be a good contender pending its certification. Nothing I can share publicly yet. Jabra is releasing the evolve 75e literally right now.. their not full ear cans but instead IEMs (In ear monitors) I’m waiting on my review stock so I’ll update once their in. a better competitor of the 8200 with a better active reduction like bose. like a evolve 85 thanks ? i have jabra evolve 75. The mic is magic . The mic jabra evolve 75 beats evolve 80. You mention using this on your xbox, does this work with the mic as well? How did you connect? Not for the mic I’m afraid. I used the 3.5mm TRS connection to my controller. If you have an original Xbox One controller you can buy a headset kit that lets you plug in traditional headphones. Not a Jabra employee here. Yes the microphones on the 8200 sounds terrible and this is the feedback from all people I spoke to so far (Skype FB, Whatsapp and mobile) I plan to return them to Amazon tomorrow. Build quality is also hit and miss. The volume rocker rattle when I walk with them on. And who thought sticker instead of engraving is good for labeling the buttons… At this price point… Really? Noise canceling is not good compared to my Bose headphones. They are also quite heavy. What I like the sound quality, the automated features for pausing or answering calls and how they Isolate even loud music from the surroundings so people on the other side of the line don’t hear it… Unfortunatelly this is compensated with poor voice quality. After owning mine for a while I can definitely agree with you about the volume rocker.. Not sure if its that or a battery inside or something. but yes, There is rattle even sometimes when moving your head and it can get annoying.